Spin Lift height adjustment,Sturdy five leg base. Available in 50 standard colors. Black 2" plastic dual-wheel nylon casters. Optional adjustable contoured backrest with black plastic shroud . Available in Sewn and Seamless upholstery. 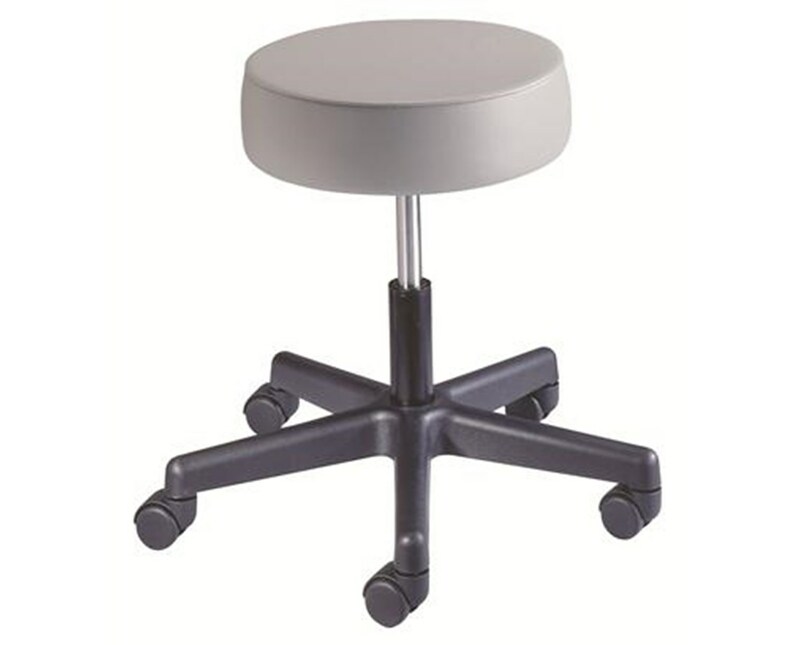 The Brewer Value Plus Spin Lift Exam Stool is an affordable, high quality medical stool designed to meet the needs of any clinic, hospital or laboratory. 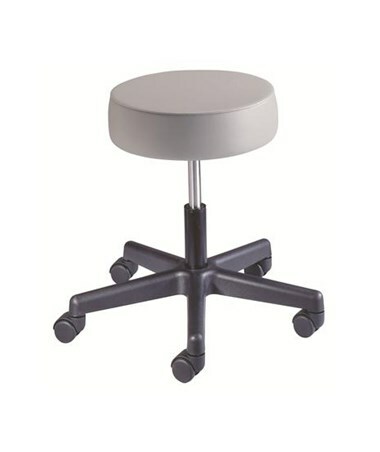 It features a round 15" seat with five-leg black ABS base and is available with a 9.5" x 15.75" adjustable. Spin lift height adjustments range from 17" to 22.75". The weight capacity is 250 pounds. It has five-leg, 21" black ABS plastic composite base with black plastic dual-wheel nylon colors. The 4" poly-foam seat cushion is easy to clean and offers maximum comfort. All Brewer products conform to US and Canadian electrical and medical industry codes and regulations.We meet or exceed industry requirements. All seating comes with a 5 year warranty. 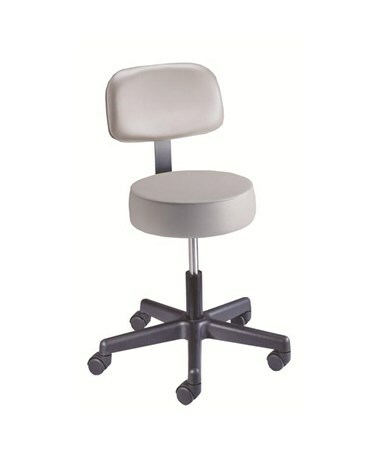 The Spin Lift Exam Stool is available with or without Backrest in Sewn and Seamless upholstery option. This stool comes in a variety of colors as shown in this color chart. Please specify which color you would like in the "Special Note" section during checkout. 5-leg, 21" diameter black ABS plastic composite base. Available in 50 standard color. Height Range 17" – 22.75"
15" wide, 4" thick poly-foam seat cushion. 2" plastic dual-wheel nylon casters.